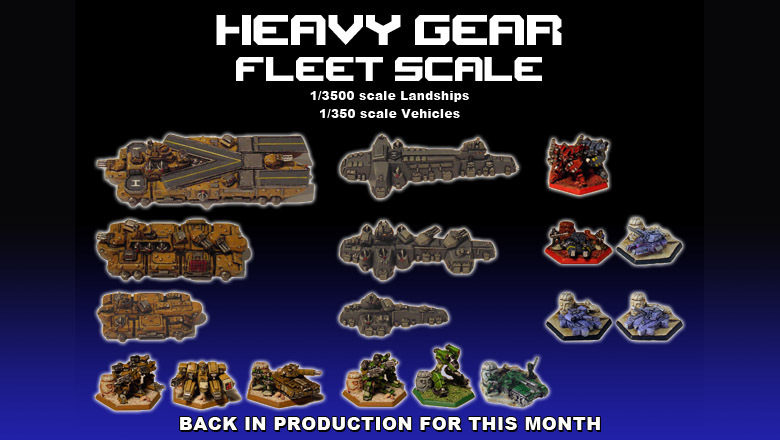 The Heavy Gear Fleet Scale miniatures are back in production for the month of September. Complete your collection now, before the production molds are put back in storage for another 6 months. We have added a Collectors Package at the top of the ordering options for those who would like to get just one of each Fleet Scale model. Here is a link to their ordering page on the Dream Pod 9 Online Store for everyone interested.